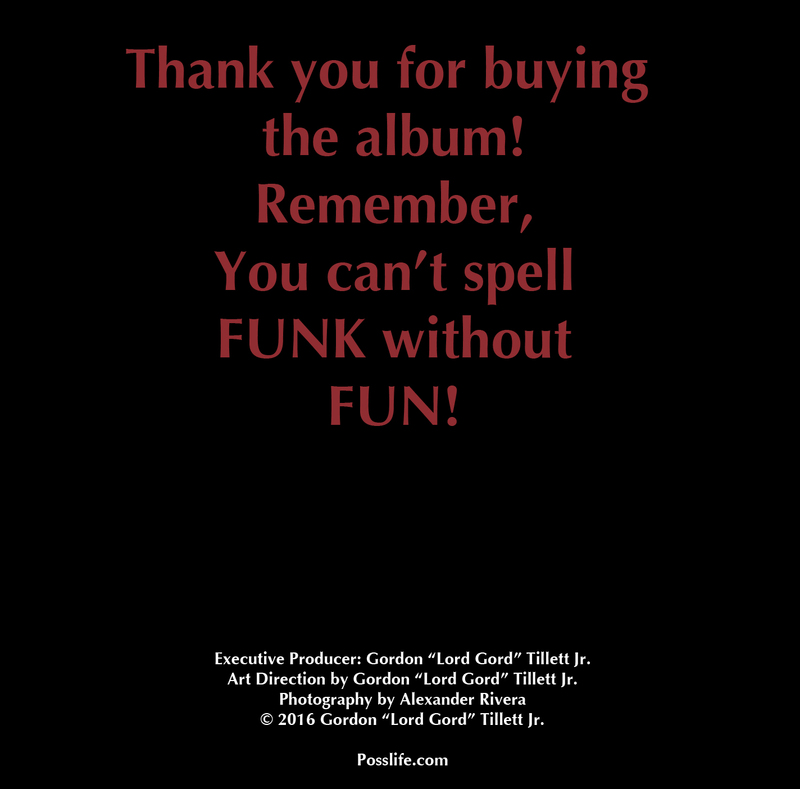 Lord Gord & The Posse: You Can’t Spell Funk Without Fun! 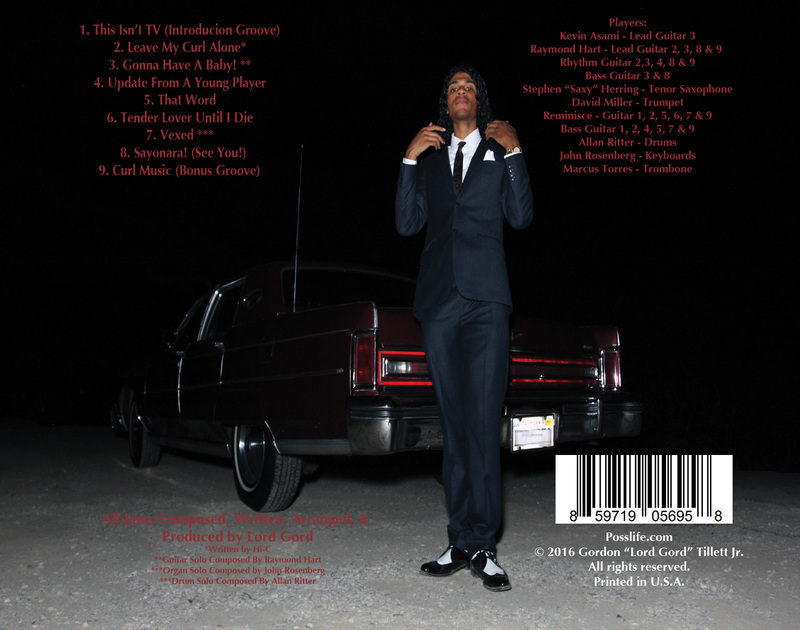 » “This Isn’t TV” Album. 1. 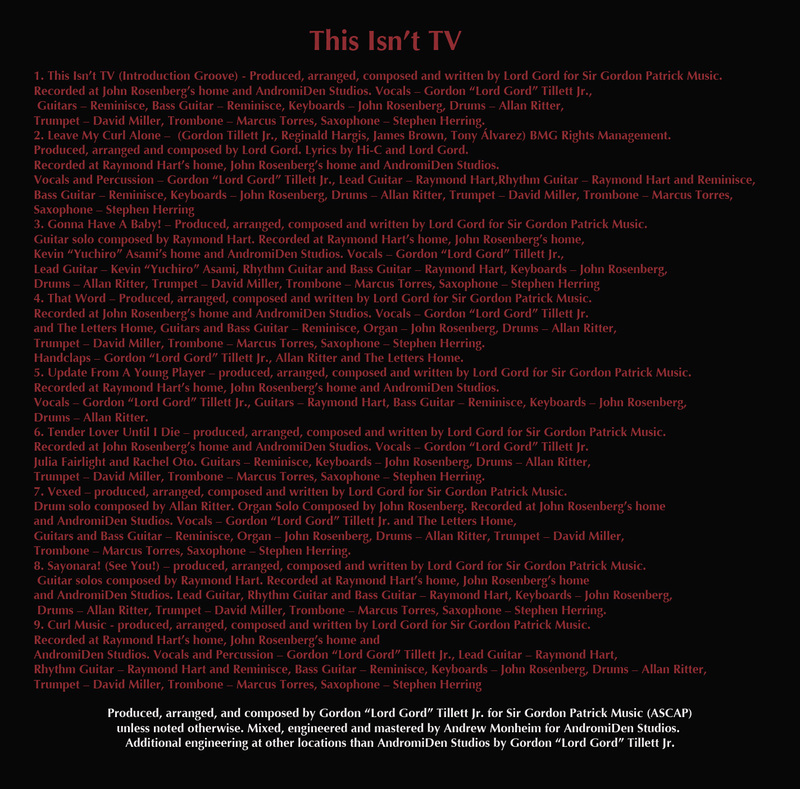 This Isn’t TV (Introduction Groove) – Produced, arranged, composed and written by Lord Gord for Sir Gordon Patrick Music. Recorded at John Rosenberg’s home and AndromiDen Studios. Mixed, engineered and mastered by Andrew Monheim. Vocals – Gordon “Lord Gord” Tillett Jr., Guitars – Reminisce, Bass Guitar – Reminisce, Keyboards – John Rosenberg, Drums – Allan Ritter, Trumpet – David Miller, Trombone – Marcus Torres, Saxophone – Stephen Herring. 4. That Word – Produced, arranged, composed and written by Lord Gord for Sir Gordon Patrick Music. Recorded at John Rosenberg’s home and AndromiDen Studios. Mixed, engineered and mastered by Andrew Monheim. Vocals – Gordon “Lord Gord” Tillett Jr. and The Letters Home, Guitars and Bass Guitar – Reminisce, Organ – John Rosenberg, Drums – Allan Ritter, Trumpet – David Miller, Trombone – Marcus Torres, Saxophone – Stephen Herring. Handclaps – Gordon “Lord Gord” Tillett Jr., Allan Ritter and The Letters Home. 5. Update From A Young Player – produced, arranged, composed and written by Lord Gord for Sir Gordon Patrick Music. Recorded at Raymond Hart’s home, John Rosenberg’s home and AndromiDen Studios. Mixed, engineered and mastered by Andrew Monheim. Vocals – Gordon “Lord Gord” Tillett Jr., Guitars – Raymond Hart, Bass Guitar – Reminisce, Keyboards – John Rosenberg, Drums – Allan Ritter. 6. Tender Lover Until I Die – produced, arranged, composed and written by Lord Gord for Sir Gordon Patrick Music. Recorded at John Rosenberg’s home and AndromiDen Studios. Mixed, engineered and mastered by Andrew Monheim. Vocals – Gordon “Lord Gord” Tillett Jr., Julia Fairlight and Rachel Oto. Guitars – Reminisce, Keyboards – John Rosenberg, Drums – Allan Ritter, Trumpet – David Miller, Trombone – Marcus Torres, Saxophone – Stephen Herring. 7. Vexed – produced, arranged, composed and written by Lord Gord for Sir Gordon Patrick Music. Drum solo composed by Allan Ritter. Organ Solo Composed by John Rosenberg. Recorded at John Rosenberg’s home and AndromiDen Studios. Mixed, engineered and mastered by Andrew Monheim. Vocals – Gordon “Lord Gord” Tillett Jr. and The Letters Home, Guitars and Bass Guitar – Reminisce, Organ – John Rosenberg, Drums – Allan Ritter, Trumpet – David Miller, Trombone – Marcus Torres, Saxophone – Stephen Herring. 8. Sayonara! (See You!) – produced, arranged, and composed by Lord Gord for Sir Gordon Patrick Music. Guitar solos composed by Raymond Hart. Recorded at Raymond Hart’s home, John Rosenberg’s home and AndromiDen Studios. Mixed, engineered and mastered by Andrew Monheim. 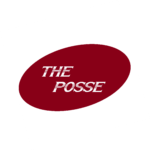 Lead Guitar, Rhythm Guitar and Bass Guitar – Raymond Hart, Keyboards – John Rosenberg, Drums – Allan Ritter, Trumpet – David Miller, Trombone – Marcus Torres, Saxophone – Stephen Herring.